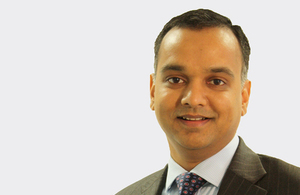 Mayank Prakash has stepped down as a BPDTS Ltd non-executive director. The BPDTS board in December marked the departure of Mayank Prakash, one of the company’s founding directors. Mayank was hugely committed to creating a successful partnership between DWP Digital and BPDTS. I’m sure that without him, there would be no BPDTS, and we wish Mayank all the best for the future.